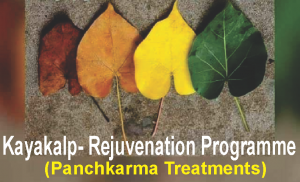 Ayurvedic Massages (Abhyang, Udvartan and special powder massage) are recommended. Nail massage with medicated ghee for nutrition of nails. For firmness of breasts or good shape and posture – yoga, sun salutation, dancing, swimming, and appropriate exercises are advisable. For Breast beauty : Abhyang with sesame oil, ashwagandha oil on breast and parishek with warm water, milk or rose petal milk are advisable. 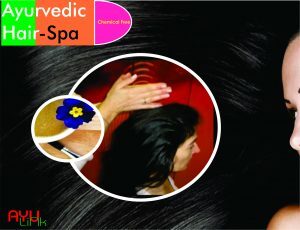 Hair massage, Shirodhara and hair bath are recommended with ayurvedic formulas for better care of hairs. Wash hair with luke warm Triphala decoction or curd, yogurt or lemon juice. Takra dhara is good for dandruff. Navel must be cleansed with a soft cloth or cotton. Nabhi-Puran’ is a procedure in which medicated oil, or Lepam is poured over into it if one feels that navel remain smelly, unclean or painful. Naval Massage: gently with ghee or oil in circular movement is good for naval beauty.